Exclusive Real Estate is a firm whose two executives, offer clients an unparalleled combination of experience, talent, and expertise. 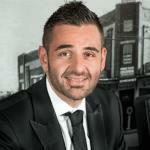 Alex Agoratsios and Andrew Bova have been active in the inner west real estate market for a combined total of 33 years. We wanted to thank you so much for all of your assistance with the sale of our beloved unit. We bought this unit off you 8 years ago, have rented it through you in the past and so when we decided it was time to sell we didn't bother speaking to any other agents. We knew you were our man. Your expertise and knowledge of the current market and area are second to none, you knew exactly what you were going to do in order to sell our property ASAP, and within 6 days of it being on Domain it was sold - FOR A RECORD PRICE IN HOMEBUSH WEST!!!!! You have provided us with amazing advice along the way and we can only hope to do business with you again in the future! My Wife and I are stoked with the purchase of the Property. We are pleased with the way you handled this very stressful ordeal of trying to purchase a house in this current climate. Your professionalism and integrity was of a high standard and did not go unnoticed.We appreciate the fact that it was a long settlement (3 Months) and strongly believe that your involvement has made it a smooth and efforless sale. I have no hesitation in recommending Exclusive Real Estate to other people as i am very confident that the service provided by you and your office will be of high calibre. We thank you for your efforts, honesty and most importantly your patience in answering our many questions. Well done again to you and Exclusive Real Estate and look forward to doing business with you in the future.